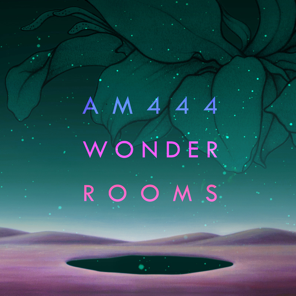 AM444 is a positive product of globalization, a duo formed in Shanghai by ChaCha — singer, songwriter, MC and well-known figure of the Chinese underground — and Jay.Soul, a veteran Dutch producer & DJ who lived in the booming megalopolis for a few years. Nowadays there’s no longer room for preconceived ideas about global and musical geography. Talents do not just emerge from Manchester garages or Technicolor US suburbs; they also come from less likely cities across the world, like Shanghai (perhaps even also forcing us to admit that China is equally capable of creative force). ChaCha was born far from her Manchu ancestors’ land, in the foggy province of Guizhou. She moved to Beijing in the early 2000s to set up a rock band, but she soon left the rough northern community after having discovered hip-hop and, especially, electronic music, falling for the freedom it gave her. She left Beijing for Shanghai, where the electronic music scene was flourishing and comparatively open-minded. Once there, she got involved with Uprooted Sunshine, a reggae party collective. The magic of cross-breeding soon led her to Trip-hop, bass music, and dubstep, all mixing up into a new creative maelstrom. 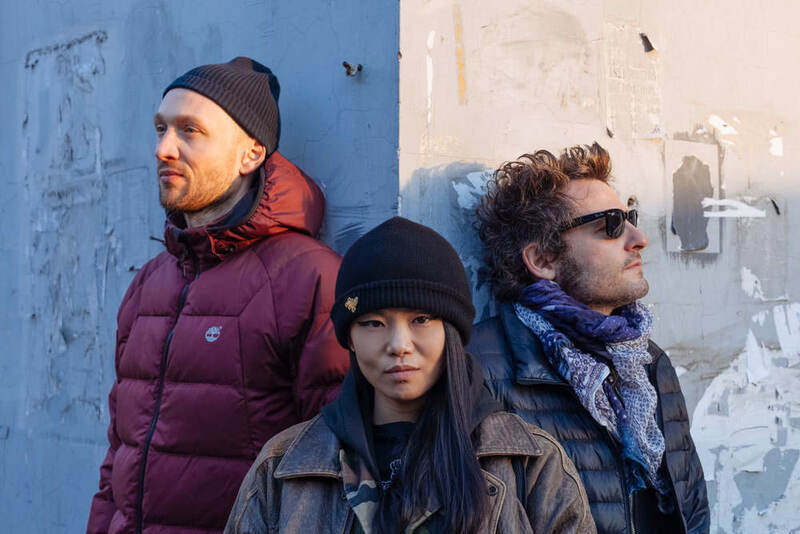 It was in 2008 at the then newly opened club The Shelter – Shanghai’s premiere underground electronic music venue – where ChaCha first met Jay.Soul, an Amsterdam native who came to China to taste a bit of the Chinese dream, like others have chosen New York or Berlin in generations past. ChaCha also began collaborating with visiting artists that played The Shelter such as Kode9, Desto, and Clive Chin. When AM444 was formed in 2010, ChaCha and Jay quickly started to produce a rich and funky electronic hybrid, mixing the warmth of reggae, hip-hop and soul influences with more dark and atmospheric elements. They immediately created a buzz with their debut Eye Wonder, receiving critical acclaim, radio play and media coverage as well as playing live around China and at SAKIFO on Reunion Island, Africa. 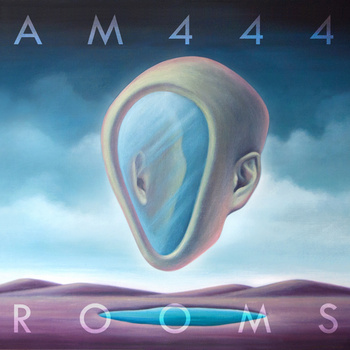 Their follow up album Rooms (2012) further expanded their reach, including but not limited to having top fashion photographer Mario Testino using AM444 songs in videos for Vogue China’s 100th edition. Both albums deliver an exotic yet definitely urban sound, where one can feel the duo’s versatility and ability to absorb worldwide influences (from Bjork to J Dilla and Portishead to Little Dragon to name a few). But the real surprise is the warmth of ChaCha’s voice, which easily travels among musical styles and transforms Mandarin Chinese into a language suddenly accessible, even familiar. It is this particular voice that charmed French rock star Matthieu Chedid (aka -M-) when he came across AM444’s music. -M- has had a growing passion for China, since his first visit there in 2010. A trip that gave him fleeting impressions from the country based on its buoyant and noisy cities, but also memories of this unique slow-motion energy which characterizes China so well. He soon immersed himself into AM444’s songs and decided to create a new version of “Shen Jing Mo Shao”, a haunting and dubby tune from their first CD which relates the wandering of one’s mind and body through the city, the void and stress of contemporary life. Adding a diabolic guitar riff and a sensual voice to the song, -M- turned the original monologue into a “love conversation” re-titled “Détache-Toi”. He also invited AM444 to be support act on his 2014 Asia tour. The initially virtual collaboration then really came to life when -M- and AM444 met in person when first sharing the stage in Wuhan (Central China) in March 2014. Their duet “Détache-Toi” in fact grew to be one of the strongest moments of the -M- China tour. It also led to -M- asking French director Mathieu Demy, son of French cinema greats Agnes Varda and Jacques Demy, to come to Beijing from Paris to shoot an MV of “Détache-Toi”. The video, shot in just three days and three sleepless nights, takes us on a slow-motion dive into the Chinese night – with blurry, luminous store signs, weird onlookers and steaming food stalls. The two protagonists ChaCha and -M- wander about, searching each other in the darkness of seedy nightclubs and karaoke. 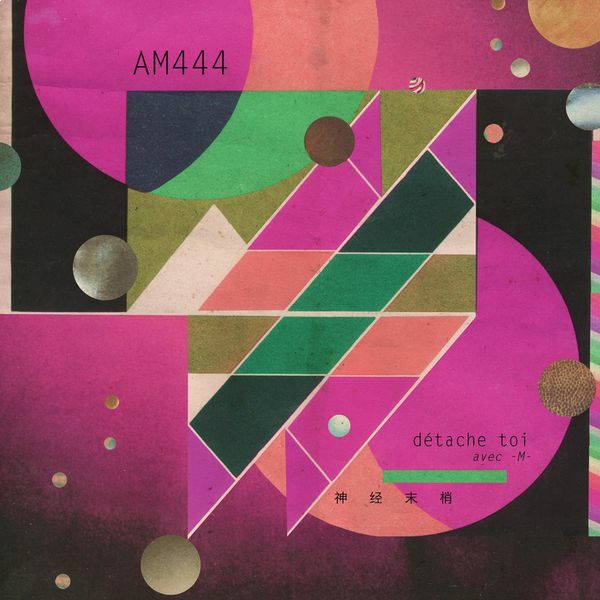 “Détache-Toi” is the first single of AM444’s European debut EP of the same name (release: June 2014 on Believe Digital). “Détache toi, 神经末梢” relates a sort of Far East voyage and the unusual encounter between AM444 and Matthieu Chedid. Charmed by ChaCha’s voice and the dark, groovy and intoxicating world of the duo, Chedid falls for the song the “Shen Jing Mo Shao”. “Détache-toi” is a coproduction : Kaiguan 开关 / Labo-M-. In new EP “Dark Show”,this uncompromising Chinese/Dutch duo effortlessly takes you from foreboding minimalistic space funk (“Huo”) and moody post-r&b (“Lian”), to the old school house vibes and sexual lyrics of “Not What It Seems” and the gradually evolving, dragging synth groove and hypnotic vocals of “Dark Show”. In this EP their also have a special remix of Dark Show from Singapore friends Forrane.